Today on Flashpoints we feature excerpts from from John Pilger’s new film, The War You Don’t See, censored and banned by the Lannon Foundation, which recently cancelled the film’s US Premier, without notice or explanation. 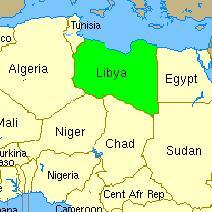 Also Kevin Pina Continues his drum-beat reporting on Libya. Today on Flashpoints, A Libyan rebel commander is assassinated by a faction of his own troops reportedly linked to Al-Qaeda… Special Correspondent Mahdi Darius Nazemroaya joins us with a report from Tripoli. Flashpoints also offers an exclusive interview with the highest ranking Libyan government official heard on radio in the United States, Dr. Khaled Kaim, the Deputy foreign Minister of Libya joins us. Finally, we talk with Alejandro Reyes about the plight of Central American migrants in Mexico. Guest: Mahdi Darius Nazemroaya-Flashpoints correspondent on the ground in Libya, Khaled Kaim Deputy Foreign Minister of Libya, and Alejandro Reyes – Caravana Paso a Pao Por la Paz. Today on Flashpoints, we continue our in-depth coverage of the situation in Libya and the breaking news that the Chief of Staff of the rebels has been killed. We also look into the role of human rights organizations in Libya many of which are now being accused of presenting a false view of the situation. Finally, we have a free-wheeling discussion with journalist and author Eric Walberg about his new book Postmodern Imperialism.